As an Australian/British citizen who is planning on moving from the antipodes to the motherland for a stint of professional (and personal) development, I find myself deeply discomfited by Alan Johnson's public statements. On the BBC1 'Breakfast' programme this morning, he was asked if he thought alcopops should be banned as they are a large part of binge drinking. He replied that banning one type of drink wouldn't work because people would just switch to a different drink. Does he not see the irony in that comment? The calls for alcohol price increases are in my view misconceived; these would further the inequality of indirect taxation. This would not only impact disproportionately upon the poorer moderate drinkers, but as a protective measure it would inadequately target the rich from self-abuse. We have legislation in place to protect society from dangerous and otherwise harmful drugs, the Misuse of Drugs Act 1971. Of course alcohol and tobacco are drugs too – but despite the legislation clearly aims at addressing the problems caused by any drug, successive governments and indeed the Advisory Council on the Misuse of Drugs have incorrectly assumed that alcohol and tobacco fall outside of the remit of the legislation and neglected their duty. The legal / illegal drugs divide is a false divide both legally and scientifically. Drugs in themselves as inanimate objects cannot be legal or illegal – rather the law provides that human activities concerning dangerous drugs must be ‘controlled’. The sensible and lawful requirement is that appropriate measures are put in place to address ALL drug misuse. The law was enacted with a view to flexibility to distinguish between the peaceful use of drugs, drug misuse (where such misuse mainly affects only the user) and drug misuse which affects society. Sadly, governments have fettered themselves to unduly restrictive International Treaties and Conventions. It would appear that these outdated instruments are at odds with the object of our own law and may be in breach of the Human Rights Act 1998 as well. Once a true picture of relative drug harm is brought about and proportionate controls are introduced, then it would follow that the harmfulness of all drug misuse will be ameliorated. 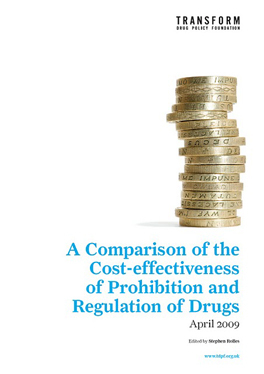 All harmful drugs would be regulated fairly - not only would the courts and prisons be freed from dealing with the peaceful users of many presently controlled drugs, but alcohol and tobacco users would be able to assess their habits in terms of the harmfulness of all drugs - these activities being brought within the direct control of the Misuse of Drugs Act where they belong. Darryl Bickler - Drug Equality Alliance. Darryl - I don't really agree on your first point. What is being suggested is minimum unit pricing (50 p a unit has been mooted). this targets a fairly narrow band of products (strong ciders and similar budget brands, as well as supermarket discounting and loss leaders) used almost exclusively by problem drinkers or young/underage binge drinkers. It would not effect most alcohol prices, including pub drinks which would all be above the threshold. There is a good evidence base to show that such measures deliver good public health outcomes (if you check the out puts of the royal college, select committee, BMA alcohol concern etc). Almost any direct tax has a regressive impact on poorer people to some extent - but in this case i think the marginal nature of it for the vast majority of moderate users would be substantially outweighed by the outcomes. Ive explored some of this in more detail in the pricing and alcohol sections of Blueprint. Steve - I agree less harm will be caused across society if alcohol gets very expensive (home brew anybody? ), but as a generic point I fear that there is no point in trying to press for any sensible regulatory model on a single drug in circumstances where that drug continues to enjoy preferential treatment over other equally or less harmful alternatives. The youth are influenced by the acceptability of alcohol intoxication across society as a whole; and the fact that it is legal to buy in a context where other drugs which may be harmful are usually banned outright is a signal so powerful that it cannot be disuaged. Are you also not in danger of 'plebiscising' the problem in an elitist way? The better off have a thousand quaint euphemisms for their being intoxicated with alcohol and a similar number of finger-pointing from car window contemptuous sneers at 'chav' & youth drinking, and yet more harsh labels for users of controlled drugs whilst they get on the blower to the cops. Actually health experts point to the harm caused behind curtains by middle-class drinking, older women drinkers etc, yet it seems so much easier to complain about alcopops and cheap booze. I do not believe that the alcohol has damaged the ingenuity capacity of the nation's youth to such an extent that they cannot find a way round certain drinks being made more expensive. My point is that people who have money will not be protected by price rises, the high price of 'illegal drugs' often fails to deter use (and as you know leads to crime to fund it), there will always be something sufficiently cheap to harm you - I am sure that cheap branded vodka will still be a way of getting very pissed for a fiver no matter what. I don't think your wrong re the legal/illegal issues, but I also don't think the reforms you're talking about preclude or mean there cant be progress towards more effective alcohol regulation. Why cant progress be made on both concurrently. The evidence base clearly shows that minimum pricing (not massive price increases) has a positive impacts on key vulnerable populations - primarily young people (who generally have low incomes) and street drinkers. that it cant effect all people doesn't mean it shouldn't be done. Rich people cant be targeted so effectively - that doesn't mean it shouldn't be done. Its an imperfect, in some ways blunt tool. but it works; it reduces personal and social harms and saves lives which is what governments should be doing. Price controls are ofcourse only one element of effective regulation. the reasons for the government not doing it are political or industry pressure related - and that is shameful. Steve - I'm saddened you don't feel a compulsion to protect rap artists from an excess of Cristal. I agree you could save some lives by making alcohol more expensive. BUT I certainly do not see this policy being touted as concurrent with any progressive drug law administration reforms. Selective regulation of two lethal drugs (A&T) is avoidance tinkerring in isolation - the ground constantly shifts when controls are unequal and inherrently unstable, new patterns of misuse emerge with new substances, perhaps a black market in alcohol would emerge. They are still trying to stop hospital patients and staff from consuming the alcohol hand rub on every corridor! I say it is in isolation as the govt have flat out rejected your calls just for an impact assessment on drug prohibition and fettered their discretion to eternally perpetuating this abuse of their powers granted under the law (MDA 1971). If you like, you can look at it as the government discriminating against alcohol users by not giving them the equal protection of the obligatory controlling regulations they so generously bestow on controlled drug users. Or look at the flipside we usually talk about here - the excessive measures which fail to distinguish peaceful use from misuse applied to the scapegoated controlled drug users, with all of the paradoxical consequences of harm that that causes. If you attempt to offset alcohol misuse by price, isn't this a kick in the teeth for responsible cannabis users for example who already pay high prices and get no consumer protection together with the whole brutal criminal justice consequences? Get all dangerous drugs scheduled under the law we have, and then regulate them using the law we have to try and avoid misuse which causes social harm. Whilst lesser measures are presented as realistic, really they are cowardly avoidance. Once people realise that scheduling does not equalte to prohibition, then the fence can come down and objective rational controls implemented. This is impossible whilst the artificial divide exists. Hmmm, I'm not convinced Steve. For a start the idea of insisting on a minimum price is simply going to raise the profit margins of someone and I'm not sure who. Does it mean the brewers or the resellers? Raising profit margins isn't usually the way to go about providing a disincentive to selling things. In any case, higher profits on one line could be used to cross subsidise profits on another, which could result in lower prices of spirits for example, that could prove to be an own goal. My gut feeling is you can't mess with the laws of supply and demand - this is one of the reasons prohibition is not workable after all. I'm also a bit concerned that you're talking about young people and problem drinkers as if they are the same. The issue of young drinkers in particular I would argue is best approached through advertising - ie by restricting it. So-called "designer" drinks like "WKD" and "VK the vodka hit" would be first in my sights. Indeed, I would like to see a total alcohol advertising ban (apart from at the point of sale) including generic packaging and labelling. I would also like to see a tax regime that makes drinking in places like pubs cheaper in order to encourage social rather than solitary drinking. Problem drinkers will simply be made poorer by increasing the price of their White Lightning, just as heroin addicts don't stop being heroin addicts simply because the price of heroin is made sky-high by prohibition. The significant health inequalities attributable to alcohol misuse - the poor share a disproportionate burden of alcohol related disease. The harm from tax compared to the harm from drinking. Price responsiveness - the poor are just as responsive to price changes as anyone else. The significance of life-time earnings forgone as a result of alcohol related death/disability for low income earners. The deterrent for all; especially for ex-drinkers and younger people just beginning to use alcohol. Balbach, E.D. & Campbell, R. (2008). Mobilising public opinion for the tobacco industry: the consumer tax alliance and excise taxes. Tobacco Control, 17, 351-6. Balbach, E.D. & Campbell, R.B. (2009). Union Women, the Tobacco Industry, and Excise Taxes: A Lesson in Unintended Consequences. American Journal of Preventative Medicine, 37(2S), S121-25. Yerger, V.B. & Malone, R.E. (2002). African American leadership groups: smoking with the enemy. Tobacco Control, 11, 336-45. All i can say is to repeat the evidence base for minimum pricing (that woud only effect a relatively small proportion of total sales - but specifically the ones associated with problem drinking) is very strong - and based on places where it has been tried and shown to work at reducing key high risk behaviours amongst key vulnerable populations. On that basis I support it. I dont accept that it shouldn't be done just because of inequity in drug policy more generally (which i accept exists). I support better regulation of all drugs, regardless of the starting point re legality. Derek: I think that advertising controls are required as well - as i said price controls are just one element of effective regulation. 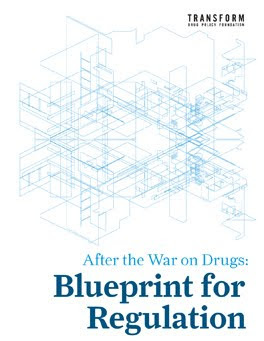 See our alcohol policy submission linked and chapter in Blueprint. minimum prices would not necessarily mean increased profits if overall consumption/sales dropped (and the evidence suggests it would). Even if this was the case appropriate tagetted tax increases could address this.